The Edge 520 Plus is an updated version of Garmin's popular Edge 520 that does everything the old model did with more advanced navigation features. The Edge 520 Plus is an updated version of Garmin's ever-popular Edge 520. The Plus looks and works nearly identically to the previous version, but it comes with more advanced navigation features including Garmin's cycle map, routable maps, turn by turn navigation, and route recalculation. In essence, this takes our previous Top Pick Award winner for Strava Addicts and Racing and gives it nearly all of the navigation features and functionality of the Edge 820, minus the convenience of the touchscreen. It still has the vibrant and easy to read color screen, an intuitive and easy to use button layout, and all the connectivity and smartphone integration of the previous version including text, call, and e-mail notifications. It's a great training tool with Strava Live segments, TrainingPeaks, the ability pair with ANT+ sensors, and the ability to analyze ride data. Data is quickly and easily transferred through the Garmin Connect App and can be synced to your favorite fitness tracking apps. With the Edge 520 Plus it seems that one of the best is now even better. Read on to learn more about this excellent cycling computer. Garmin is without a doubt the industry leader in cycling computers. Their line of GPS enabled devices is constantly growing and improving and the Edge 520 Plus is the newest iteration of their popular Edge 520 model. The Plus remains largely the same as its predecessor with notable upgrades primarily in the mapping and navigation features. This is a powerful and fully featured cycling computer with a very clean look, a crisp color display, relatively intuitive controls, and reasonably good smartphone integration and connectivity. It is and has been a solid choice for racers with Strava Live segments, training analytics, and the ability to pair with ANT+ sensors. With its enhanced navigation and mapping features, it's now more capable than ever and better suited to a broader range of users. Read on to see how the Edge 520 Plus compares to the competition. The Edge 520 Plus has been improved over the previous model with full-blown maps and navigation capabilities. It's very similar to the Edge 820 minus the touchscreen. Overall, the Edge 520 Plus is generally easy to use, but it loses a little ground to the competition due to its more complicated setup. Setup challenges aside, the 520 Plus has the same tactile button interface as its predecessor, with seven buttons that control everything. One nice thing about the controls of the 520 Plus is that they all have specific functions and only the power button is multi-function, making their use a little more intuitive than some of the other models in this test. Each of the buttons is clearly marked with their specific function on the edge of the screen. The left side of the housing has the power button (also the backlight button) and the up and down scroll buttons. The right side of the housing has the select and back page buttons while the start/stop and lap buttons are located on the bottom edge of the unit. It's no touchscreen, but the dedicated buttons are easier to use than multi-function buttons found on other models. To get going on a ride, you simply have to press the power button on the unit and wait for it to turn on. We found the startup time to be longer than most at around 20 seconds for the unit to boot up, compared to roughly 3 seconds for the Lezyne computers. Assuming you want to pair the device with your phone you also need to open the Connect App, which is also somewhat slow to start up and make sure they pair. Assuming you just want to get started on a ride, you press the start button on the lower edge of the housing, and off you go. Depending on the type of ride you're doing or how you choose to use the device you then choose your activity profile, connect with sensors, choose a course to follow, and so on. Doing this requires pushing a route to the unit from the app or scrolling through the various menu pages on the unit itself which we found to be more challenging and confusing than the on the Wahoo or Lezyne models. Satellite acquisition seems to be good and on par with the other models in this review and there is an audible beep when they are acquired. There is a bar across the top of the home screen that shows simple things like battery charge, connected sensors, time, and temperature. Once a ride is finished, it is auto synced to the Connect app and to Strava. Once your ride has begun you can scroll through the various map and data pages by using the up and down buttons on the left side of the unit. When your ride is finished, you hit the stop button and then you can save or discard the ride. If you choose to save it, it will be transferred wirelessly to the Connect App where you can upload it to Strava or other fitness tracking apps. The 520 Plus is not Wi-Fi enabled like the Edge 820 and Edge 1030 models meaning you need to connect to it via Bluetooth with the Connect App to do wireless data transfers. The unit comes with a micro-USB cord that is used to charge it or to connect directly to your computer for transferring data. The 520 Plus has a rechargeable lithium-ion battery with a claimed battery life of up to 15 hours which will easily be adequate for most people's needs and typically last for several rides before needing a recharge. It doesn't even come close to the impressive battery life of the Lezyne Mega XL at a claimed 48 hours. Just like the Edge 1030 and the Edge 820, the 520 Plus comes with numerous mounting options. It comes with 2 of their standard mounts that are attached to the handlebar or stem with the included rubber bands. It also comes with a flush out-front mount, and spacers to fit varying widths of handlebars and stems, that extends the unit out in front of the stem. Attaching either of these mounts is relatively easy and can be done in just a few minutes and attaching the unit to either of the mounts is done with an easy quarter turn. Garmin also includes a tether for those concerned with losing their device in the event of a crash or when the going gets rough. The photos above show the weight difference between the two mounting options. As mentioned above, all of the Garmin models in this review come with both the standard and out-front mounts, as does the Wahoo Fitness ELEMNT Bolt. All of the Lezyne models come with the more standard X-Lock mounts, out-front mounts are available aftermarket. Enabling Live Track is among the things you can program through the Connect app. notifications, etc. Some of the programming can be done on the app itself, things like entering your personal information, adding workouts, creating courses, and enabling Live Track and Incident Detection. Most of the programming on the 520 Plus, however, is done on the unit itself and that includes things like setting up activity profiles and data pages, turning on segments, pairing with sensors, etc. While the button layout of the unit is reasonably intuitive, it's quite time-consuming and not exactly self-explanatory to program the 520 Plus, to truly dial it in to your needs and preferences be ready to invest a fair amount of time. Testers found the Garmin Connect App to be less intuitive and using it is far less straightforward than the Lezyne Ally V2 App. For example, virtually every aspect of the programming of the Lezyne Mega XL can be done on the app itself, minimizing the time spent scrolling through menu pages, pushing buttons, and generally getting frustrated while doing it on the unit. It is way easier to program any of the Lezyne models due to the more user-friendly and well-designed companion app, and the same goes for the Wahoo ELEMNT Bolt. We are actually quite confused as to why Garmin's companion app is the least user-friendly of the models in this test when they are clearly the leader in the cycling computer market. The 520 Plus has all of the features of the previous model and now boasts improved navigation with preloaded Garmin cycle map and routing, turn by turn navigation, trendline popularity routing, and the Trailforks App. Additionally, they've added Group Track and rider to rider messaging, features that were previously only found on the Edge 1030. It still has the same size, shape, super crisp color display, button layout, and multiple mounting options included as the previous model. The basics on display, you can customize the pages and the fields they show however you like. The 520 Plus has all the basics features that virtually all of the GPS enabled cycling computers in this test share. These include speed (current, average, max), distance, elevation (gain, loss, current), time (elapsed and current), temperature, as well as heart rate, cadence, and power information when paired with compatible ANT+ sensors. The data pages are customizable, and you can create up to five data pages per activity profile with each data page display between 1 and 10 data fields of your choice. Here you can see the difference between the map pages on the Edge 520 Plus and the Lezyne Mega XL. Neither are hard to read, but one is clearly much easier. The 520 Plus uses GPS and GLONASS satellites to ensure accuracy. This is becoming the norm among the best GPS enabled cycling computers including the Edge 1030, Edge 820, and all of the Lezyne models. Only the Wahoo Fitness ELEMNT Bolt breaks the mold with both of the above-mentioned satellites and two less frequently used ones as well. You can quickly and easily choose routes and push them to the 520 Plus for navigation. and the Trailforks App. Additionally, those maps are routable, and you can create routes on the Connect App or bring in routes through Strava Routes and the Connect IQ App. The maps are crisp, clear, and in vibrant color on the display of the 520 Plus. Once you've created a route, pushed it to the unit, and started a ride it provides you with turn by turn navigation, navigation alerts, route recalculation, and a back to start feature that can route you back to your starting point if necessary. Trendline popularity routing is a nice feature that creates routes based on the routes that other cyclists use as opposed to the most direct route. Garmin has also integrated the Trailforks app which gives you the worlds largest database of mountain bike trails and is accessible through the Connect IQ app. Trailforks brings the world's largest mountain bike trail database to your computer. Once downloaded and synced to your phone, Trailforks allows you to add your routes, and search nearby and popular routes for navigation. The one thing that is lacking from a navigation standpoint is any preloaded points of interest like you would find on the Edge 820 and Edge 1030. Instead, Garmin has made it possible to incorporate the Yelp App through the Connect IQ App to look up specific points of interest, like restaurants, shops, etc., and it can create a route to get you to your selected location. The Edge 520 Plus has pretty good smartphone integration features but again it loses a little ground here due to its less user-friendly and intuitive companion app. When paired with your smartphone through a Bluetooth connection you can receive text, call, and e-mail notifications while out on a ride. This same connection also allows you to use Live Track so you can send a link to contacts so they can follow your ride in real time. The 520 Plus also has the Group Track feature so that you can keep track of member in your group as long as they also have the Group Track feature. Rider to rider messaging goes hand in hand with Group Track and allows you to send messages to the other members of your group. These features had previously only been offered on the Edge 1030 but are trickling down to the other models in the line. Additionally, Garmin has added an incident detection feature that will send your name and location to your emergency contacts when the feature is enabled. When you've finished a ride, you can wirelessly transfer all of your ride data to Strava or TrainingPeaks. The Connect IQ store is where you find the apps you need to customize your device to your specific needs. Garmin led the charge in terms of integration with Strava, and they continue to offer Strava Live segments which have now become an expected feature on most GPS enabled cycling computers. Strava Live works with your starred Strava segments and prompts you when those segments are approaching and provides a real-time comparison between your current effort and your PR, the KOM, etc. This is an excellent training tool as well as something Strava addicts will enjoy. The Strava Routes feature in the Connect IQ App is another way they're integrating Strava, and it allows you to send your routes from Strava to the 520 Plus for navigation. One thing that is interesting about the Garmin system is the fact that for many features you have to download apps from the Connect IQ store to your device to use them. These include things like Strava Routes, Trailforks, Yelp, TrainingPeaks, and even a Specialized Turbo Levo Data Field for a heads up display while riding your e-bike. This system of downloading specific apps to your device is unique to the Garmin models, and while it is time-consuming and takes a little time to figure out, it ensures that you have the features you want. The Edge 520 Plus is compatible with ANT+ sensors only. The only Garmin model that we've tested that is compatible with both ANT+ and Bluetooth Smart sensors is the fully featured Edge 1030. The competitors from Lezyne and Wahoo Fitness are also compatible with both types of sensors as well. That said, assuming you have ANT+ sensors, the 520 Plus can be paired with heart rate, cadence, and speed sensors as well as power meters, electronic shifting, and Garmin's own Varia light and radar system. If you train with a heart rate monitor you'll have the ability to analyze your own physiological data including you VO2 Max and their unique Recovery Advisor feature which attempts to provide useful ride recovery suggestions. Garmin also makes a unique power monitoring pedal system called the Vector 3 ($1,000) which measures power output as well as left/right foot power balance and cadence all in one for serious performance analytics. Garmin bills the Edge 520 Plus as an "advanced bike computer for competing and navigation". 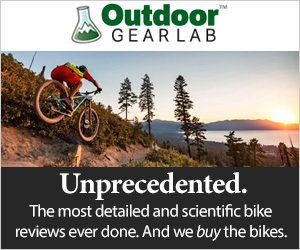 We can't disagree; this is a powerful and feature packed computer that covers the whole spectrum of cycling uses. It is clearly geared toward and designed for the cycling market with ride activity profiles for training, racing, and indoor cycling. It has all the features you need for training including great connectivity with sensors, pairing with structured training apps, Strava Live segments, and more. It also has enhanced navigation capabilities with the preloaded Garmin cycle map, turn by turn navigation, routable maps, and even the Trailforks app. It also comes with several mounts which makes switching between bikes quick and easy so you can mountain bike one day and pound pavement the next. With a 15-hour battery life, it can last as long as your longest ride, but it might not be as useful for people doing marathon races, overnight touring, or bike packing adventures. The inclusion of several mounts makes switching between bikes quick and easy, see below. The Edge 520 Plus is IPX7 rated for water resistance. This is the same rating that the other Garmin models and the Wahoo Fitness ELEMNT Bolt all share. IPX7 means that the unit should be able to handle splashes of water, rain and snow, and "incidental submersion in water up to 1 meter deep for up to 30 minutes". It can handle all of that assuming the micro-USB charging port cover is closed properly to prevent any water from entering. During testing, we found it to be as weather resistant as we could ever need, and it passed our water submersion test with flying colors. In fact, all of the GPS enabled computers we tested performed about the same in this metric, even the Lezyne units that don't have the IPX7 rating. The Edge 520 Plus is still ready to navigate, even at the bottom of a glass of water. The 520 Plus is well suited to fans of the previous Edge 520 model who always wished it had more navigation features. It is still the same powerful tracking and training tool, but now it boasts impressive navigation features that expand its usefulness to a broader range of cyclists. Whether you're riding road, gravel, mountain bikes, or commuting, this is a great option for everyone from the competitive racer to the casual rider. Assuming you're willing to put in the time to program it and dial it in to your specific needs as a cyclist, there is little that the 520 Plus can't do. The only people it might not be the best option for are those who already own a number of Bluetooth Smart sensors as it only works with ANT+, and with a 15-hour battery life, it may not be the best option for ultra-endurance cyclists or those who may go a long time between battery charges. With a retail price of $280, the 520 Plus has seen a $30 increase over the previous Edge 520 model we tested. This is the least expensive of all the Garmin models that we've tested, and because it has nearly all of the same features and functions of the Edge 820, minus the touchscreen, its hard not to call it a good value. It is also worth noting that it comes with three mounts including an out-front mount that you have to buy aftermarket with any of the Lezyne models we tested. We can't recommend riding your gravel bike to the snowline, but we can recommend the Edge 520 Plus with confidence. With the Edge 520 Plus, Garmin has made one of their most popular GPS enabled cycling computers even better. It still has all of the excellent tracking, training, and connected features of the previous version, but now it also has advanced navigation features to round out its performance. In addition to it coming preloaded with the Garmin cycle map, they've also added routable maps, turn by turn navigation, route recalculation, and the ability to use additional apps like Trailforks, Yelp, and Strava Routes. Navigation isn't the only thing that has been improved, and the 520 Plus now has Group Track, Rider to Rider messaging, and Incident Detection added to its long list of features. It's not all gold stars, however, as the Garmin Connect Mobile App is our least favorite of the bunch and navigating the menu and screens of the unit itself is less intuitive than other models in this test. That said, this is a powerful and quality cycling computer that will suit the needs of a huge range of riders, you can't go wrong with the 520 Plus. Garmin makes a full line of GPS devices and accessories for cycling. Accessories that are compatible with the Edge 520 Plus include a Heart Rate Monitor ($50), Soft Strap Heart Rate Monitor ($70), Bike Speed and Cadence Sensor ($70), Bike Cadence Sensor ($40), and Bike Speed Sensor ($40). Garmin also makes a rearview radar and light called the Varia RTL510 ($200) which functions as a tail light and provides visible and audible alerts for approaching vehicles when paired to your device. In addition to the tail light, Garmin makes a high-intensity headlight called the Varia UT800 ($150) that can also be synced with your compatible device. Garmin's most fully featured cycling computer is the Edge 1030 ($600) (also tested). It has all the functions of the 520 Plus with a large color touchscreen and even more features. The Edge 820 ($350) (also tested) is strikingly similar to the 520 Plus in terms of size and features but has the added convenience of a touchscreen display. The new Edge 130 ($200) is their most basic cycling computer, but it is packed with useful functions and connected features. Garmin also makes four models of Edge Explore computers which are geared towards the bike touring market with specific navigation features.